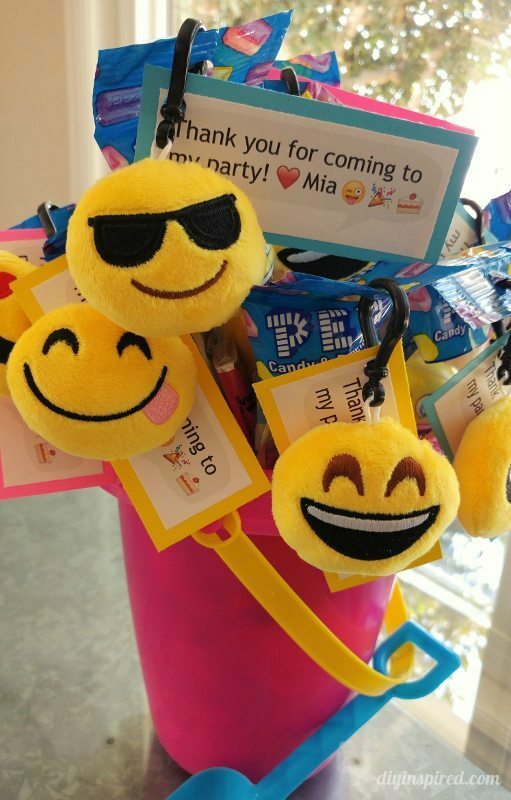 For my daughter’s 6th birthday this year, she asked for an Emoji themed party. Completely surprised, I thought, “why not” and started planning. 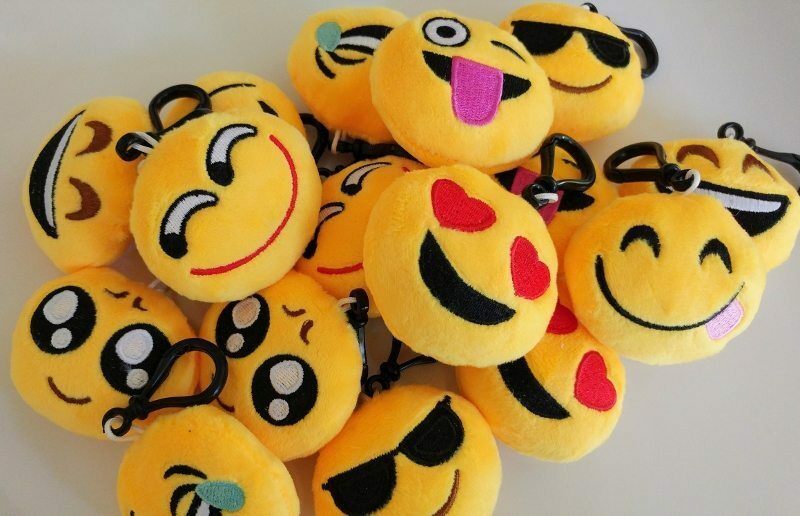 I’m not sure why I was so surprised because I think every kid at her school had a stuffed yellow emoji hanging off of their backpacks this year. I have to say, this party theme is so fun! We are having a pool party and it seems to be the perfect upbeat and happy summer theme. 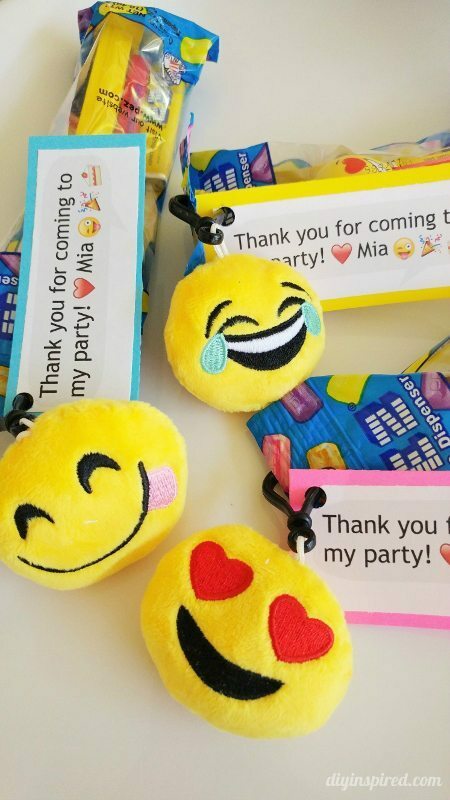 Today, I want to share the emoji party favors I made including a free printable for you to print and use. 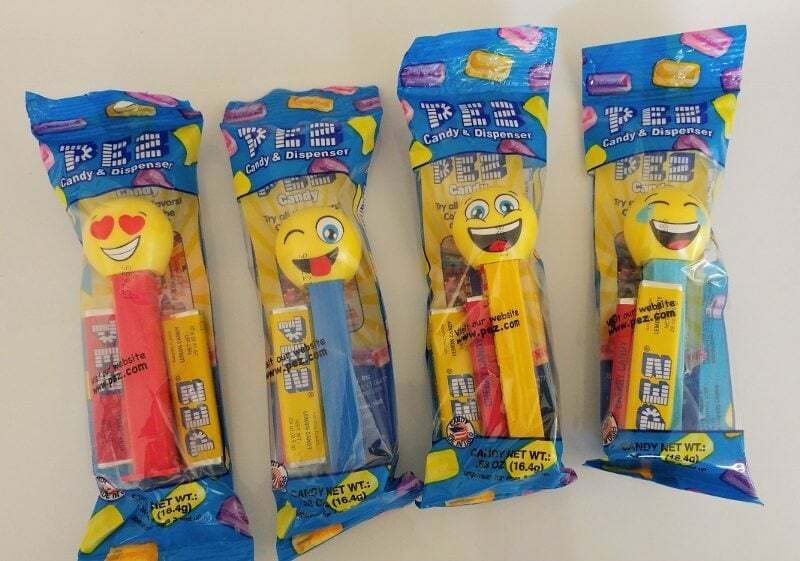 I searched Amazon and found these Emoji Pez dispensers and mini keychains (affiliate links). I designed and printed these thank you tags. 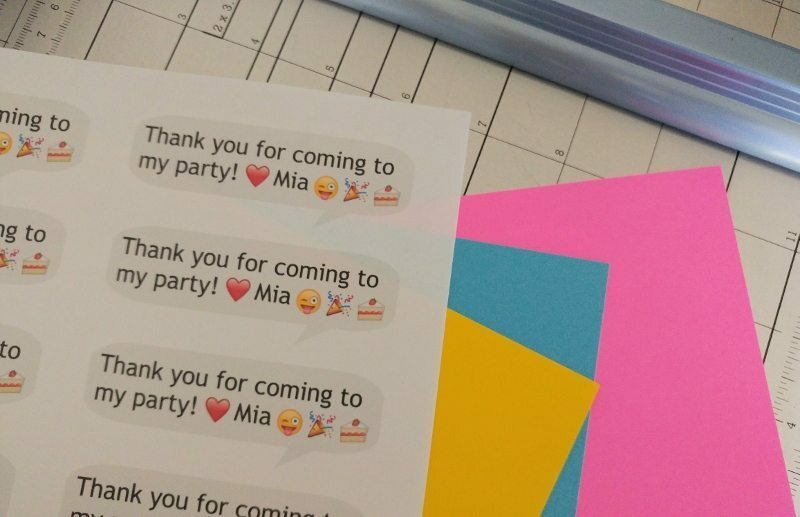 Don’t worry, the tags you print don’t say “Mia” on them…ha!! I made them look like the iPhone text bubble, emojis included in the message, of course. A paper cutter made it much easier to cut out the tags. I reinforced them with some colored card stock and glue. I punched a hole in the corner and simply attached the keychain through the tag as well as the existing hole in the Pez dispenser bag. 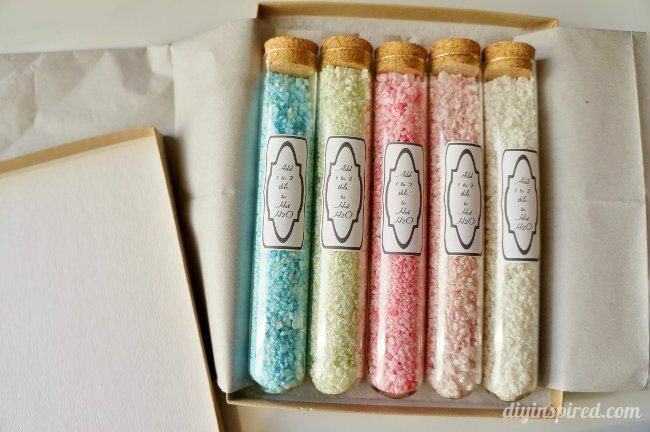 I placed them in beach pails to display them at the pool party. I think the kids are going to love them. 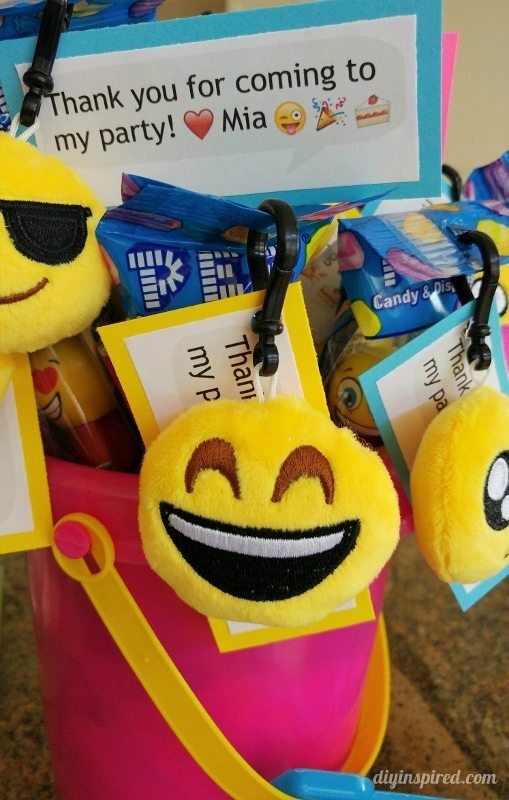 Read about our Emoji Pool Party or watch the YouTube video! 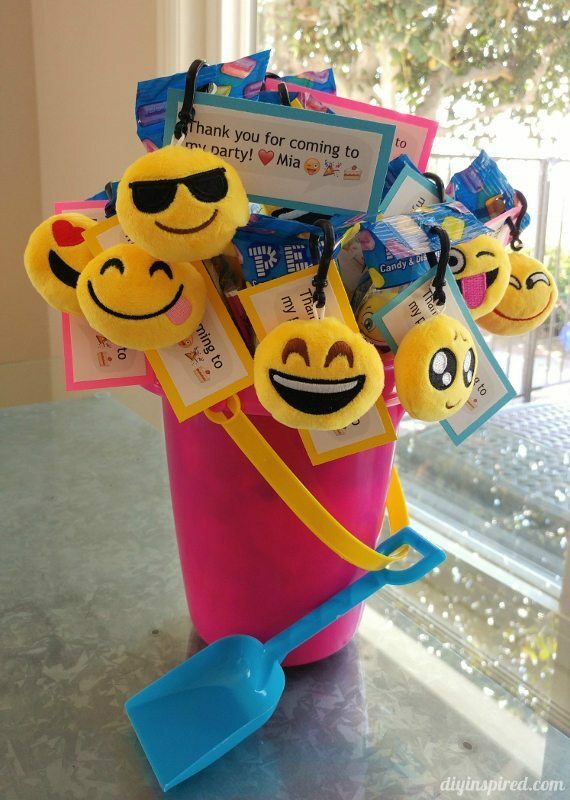 Love your idea on the emoji party goods. Also, love the Thank you tags! 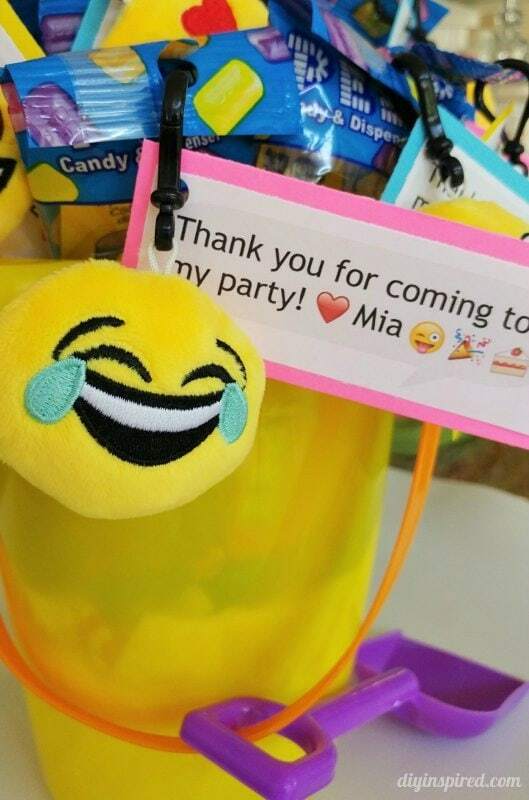 My daughter is also named Mia and is having an emoji party. Any chance you still have your tags (with name “Mia”). I would love to download them. Thank you for sharing! 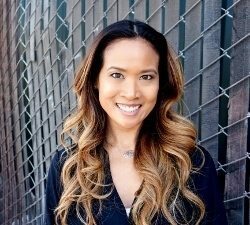 Hi Leilani! I do! 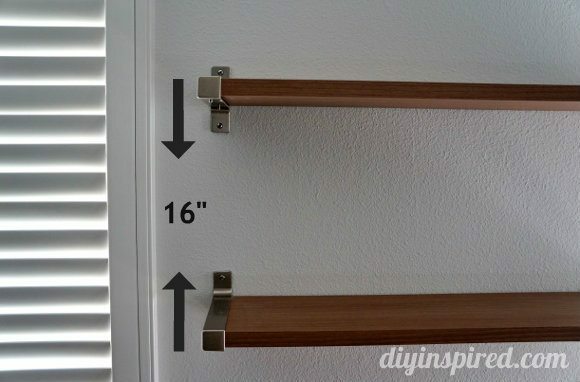 I will send you an email from dwulf@diyinspired.com. 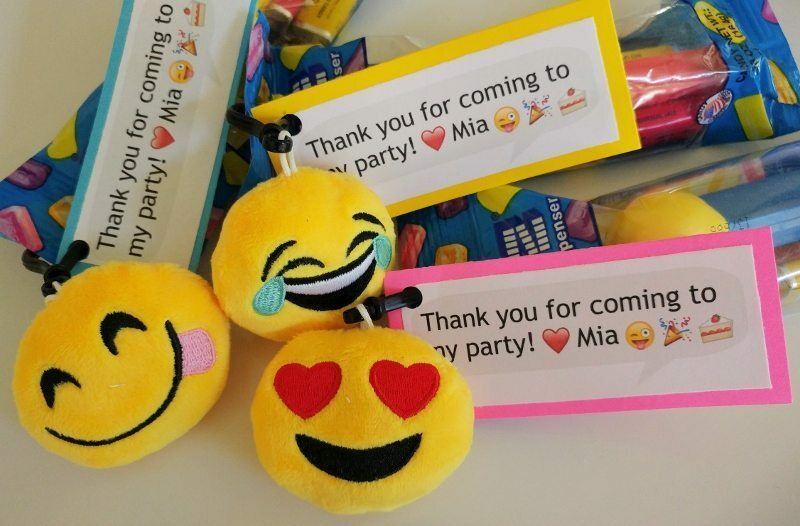 Hi Dinah – Love the party favor idea for the emoji goodies. Love the tags but for some reason the link does not work. 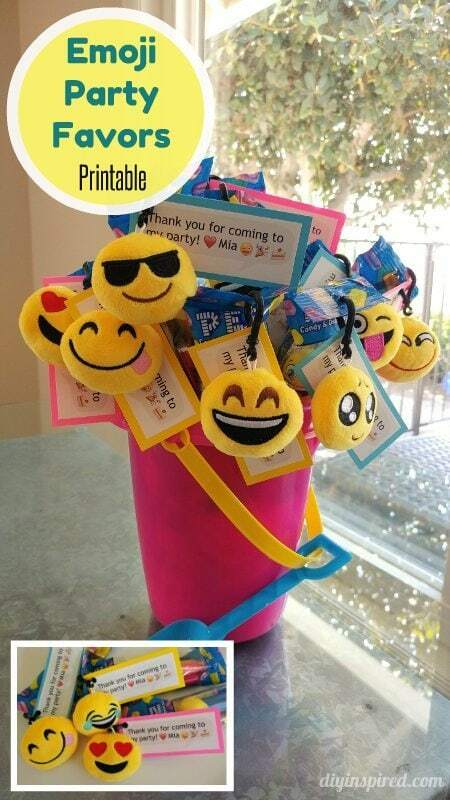 My niece Leah has requested an emoji bday party and these would be perfect. Can you send me the link via e-mail? Hi there! I’m glad you like them! 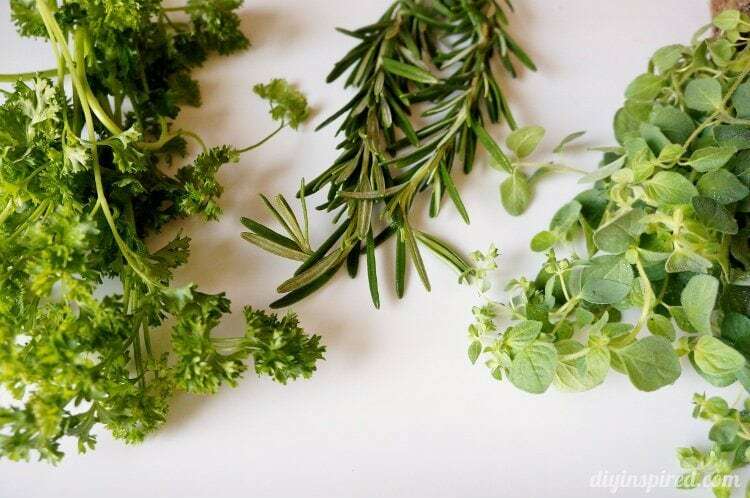 Send me an email to dwulf@diyinspired.com. I think I still have the graphic and can change it for you. I just need to find it! Love these! I’m also having a party for my twins if you could plz send me saying our party i’d appreciate it. Thanks. Hi Jennifer! Let me see if I still have it. If I do, I will email it to you. 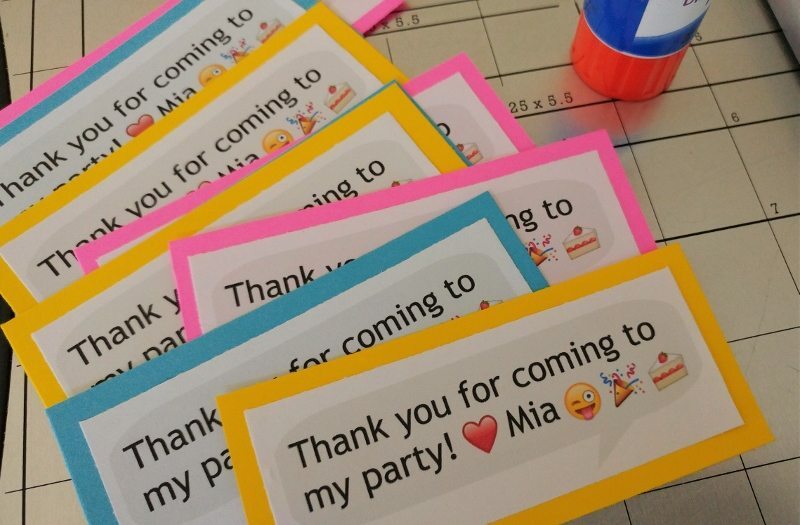 Thank you so much for sharing your AWESOME ideas for the party. These are very creative. Your Amazon links to purchase the key chains and Pez,as well as putting pdf for the labels has made pulling materials together so much easier. SO glad you found it helpful!! Thank YOU, Jennifer! Hi Ruth! I’m sorry! I don’t have them anymore. I hope your daughter has a happy birthday!